Laser Acupuncture * Semiconductor low-level (output 1-5mW, wavelength 650nm, GaAlAs semiconductor) laser irradiation the nasal and the wrist: blood viscosity oxygen carrying fat cholesterol lipid circulation. Conductive Gloves contain a silver complex that offers a high degree of conductivity and even distribution which offers the user greater comfort and effectiveness. 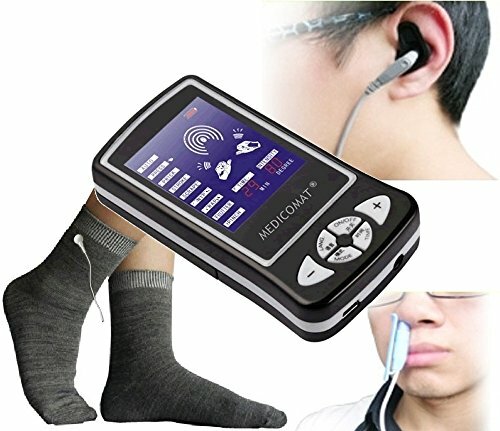 Read more at Medicomat.com and view product video at Medicomat.com/yt6.php .